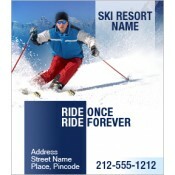 Ski resort magnets are perfect for ski resorts trying to boost their visibility and seize large market share. These promotional hotel and resort magnets can be imprinted in full color and marketers can go overboard with their choice of colors without adding set up charges. These customized magnets are perfect as a year round giveaway because people love to receive value promotional gifts. All our magnets are made in USA and are lead-free. For most ski resorts, the busiest business months lasts through summer. However, during the other times of the year, they indulge in preparations for the next summer. People love to go skiing during summers to beat the summer heat. 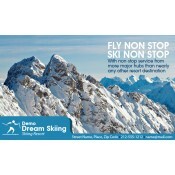 Coincidently it is also the peak business time for ski resorts trying to attract tourists. 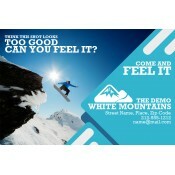 However, most ski resorts thrive on word of mouth marketing and referrals. They can easily improve their visibility by involving any of these promotional hotel and resort magnets offered in this category. Unlike other promotional magnets or travel magnets, these ski resort magnets stand high chances of retention over refrigerator doors or other visible ferrous surfaces due to its alluring design. These promotional magnets are good enough to drive interests and entertain people with their eclectic color theme. A person approaches his refrigerator door at least 11 times a day which means, your ski resort is going to receive 4015 glances in a year. This amount of viewing is good enough to inspire a person to plan his second trip or refer it to their dear ones planning to visit your place. 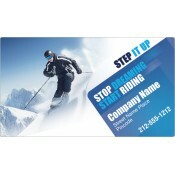 Ski resort magnets make a great giveaway during tradeshows, travel shows or business conventions. 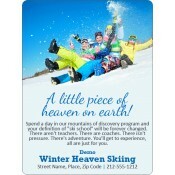 We offer great savings on bulk orders on these custom ski resort magnets and marketers can stock it for future use. Save on art setup, online design proof, shipping, and efforts because their prices are included. To know more about any of our promotional magnets or ski resort magnets, feel free to info@CMagnets.com or 855-762-4638 (Toll Free).